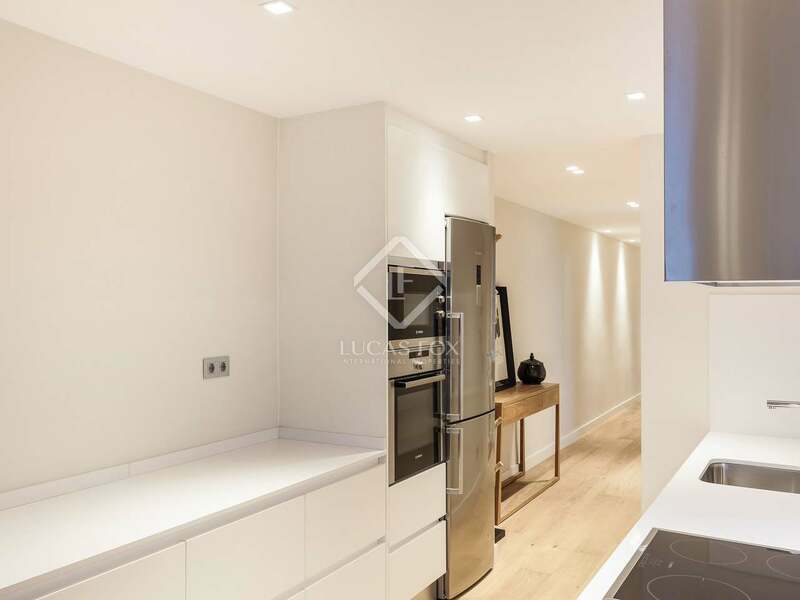 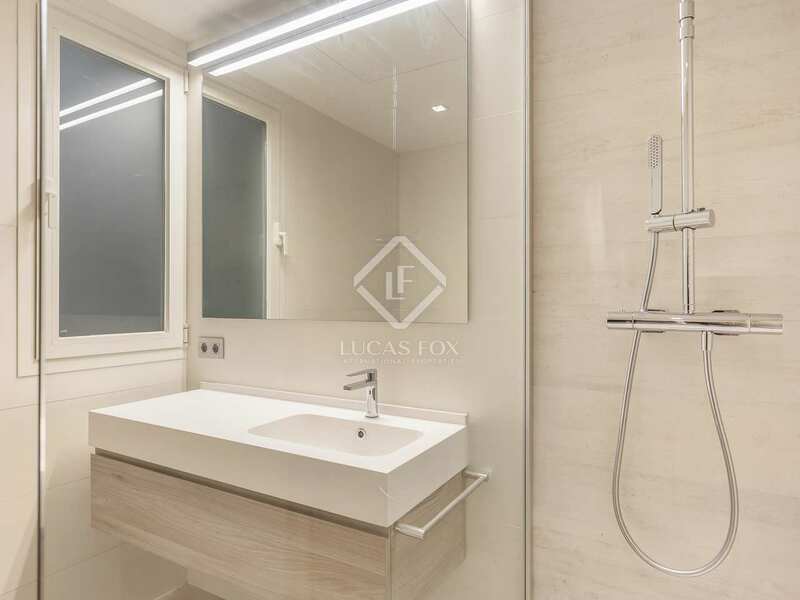 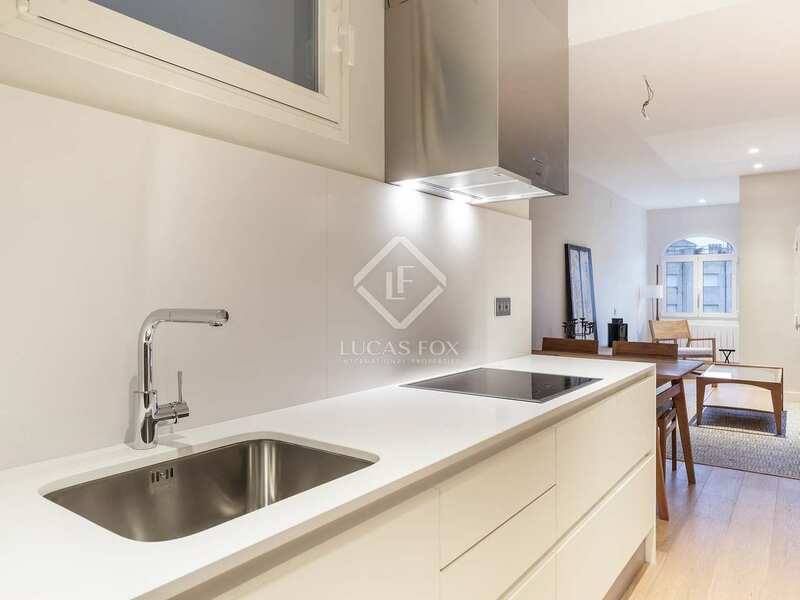 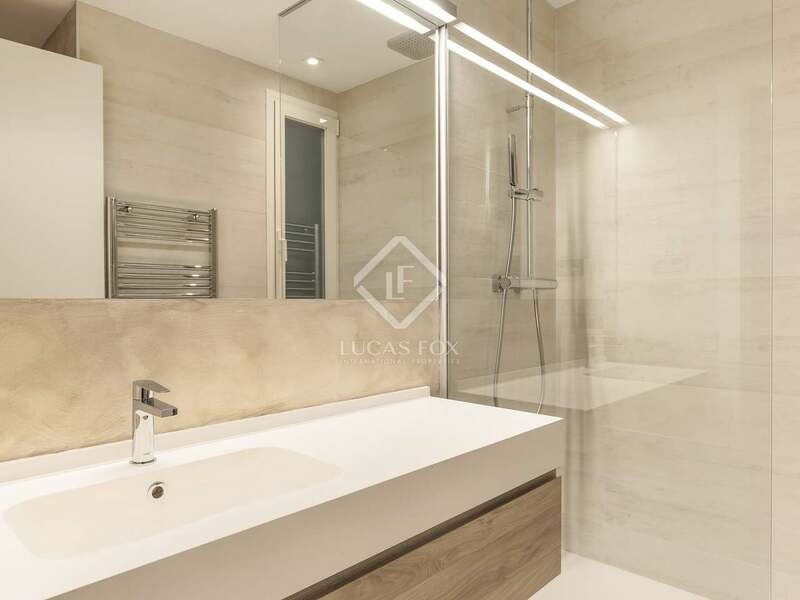 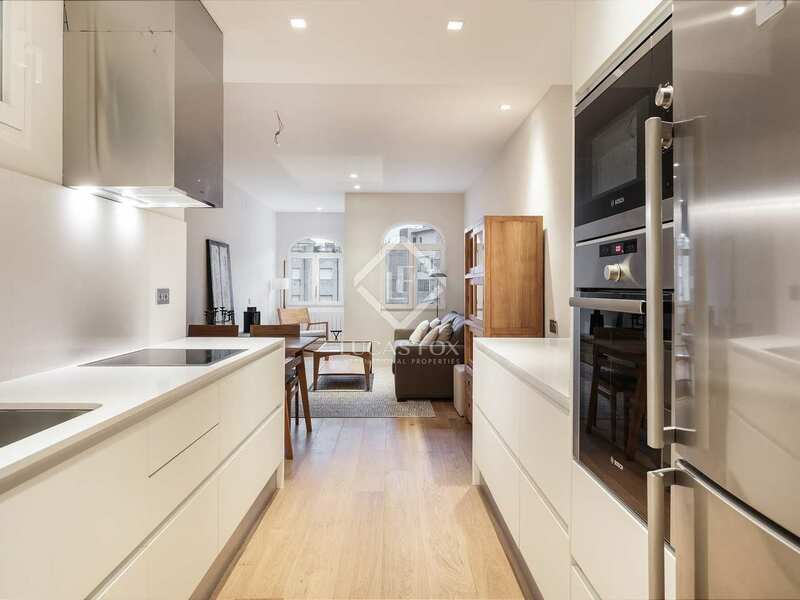 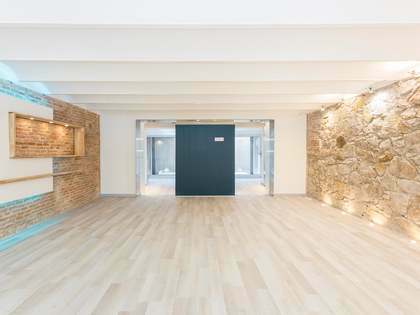 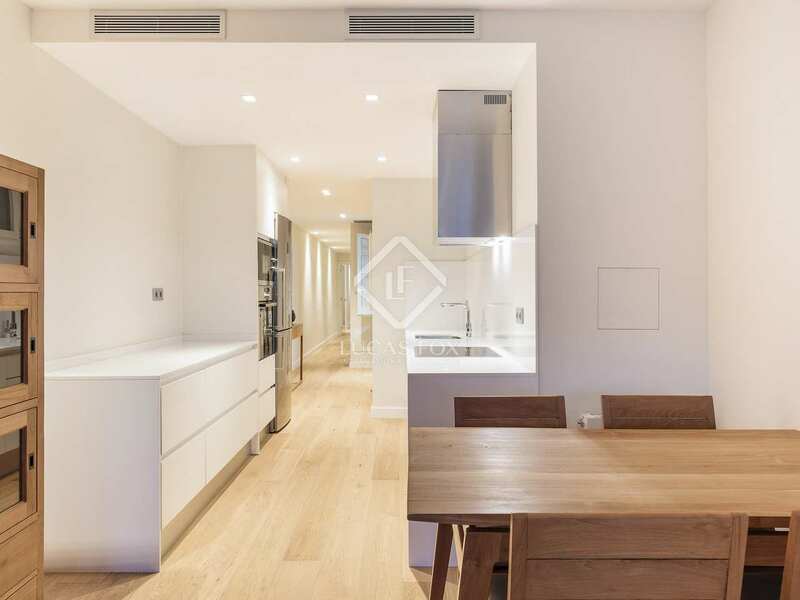 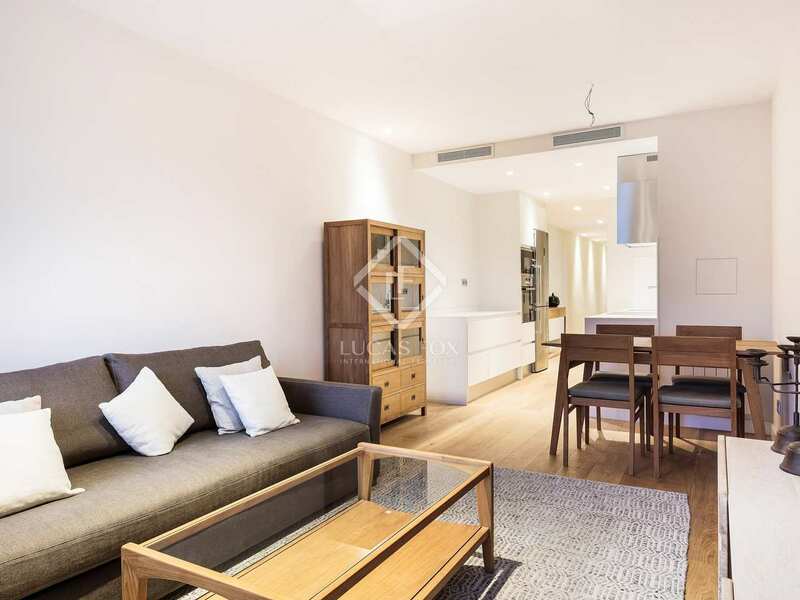 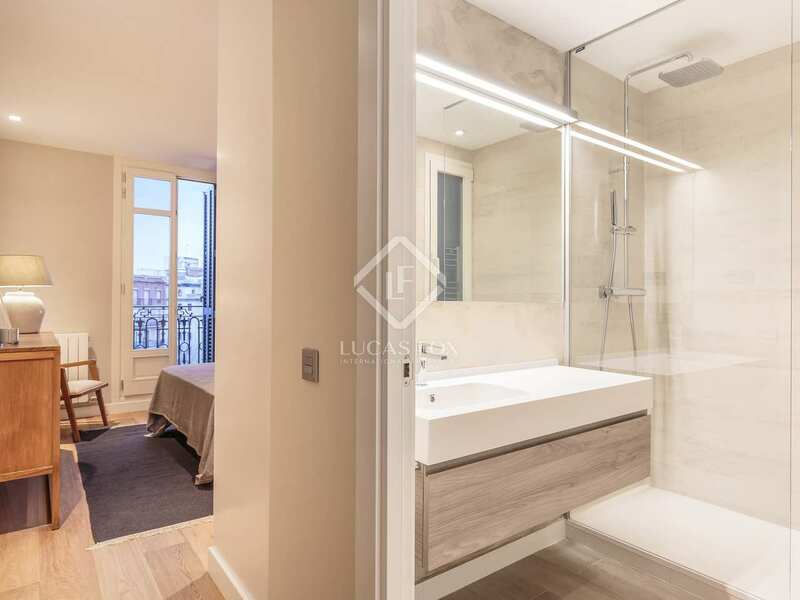 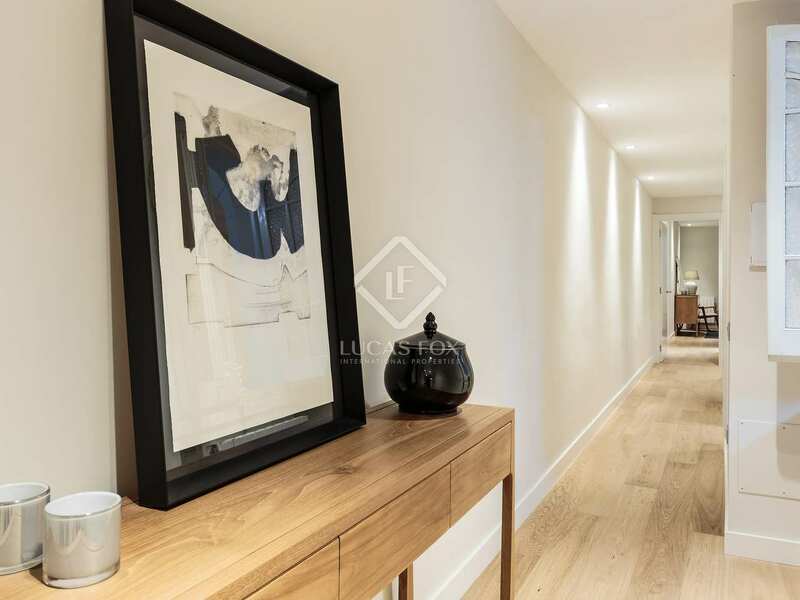 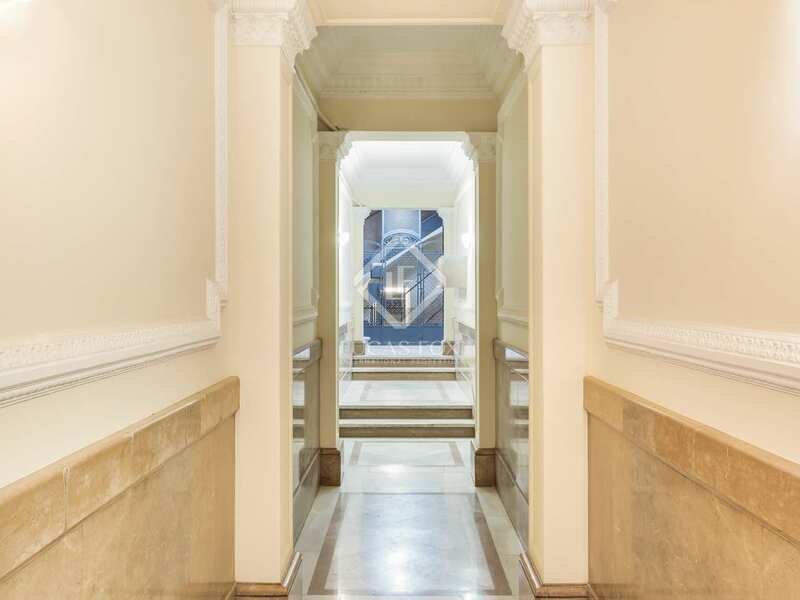 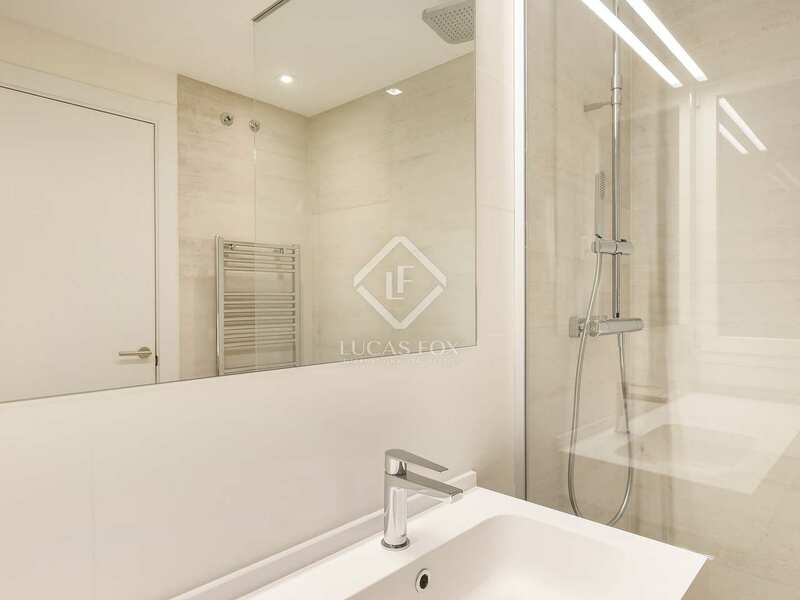 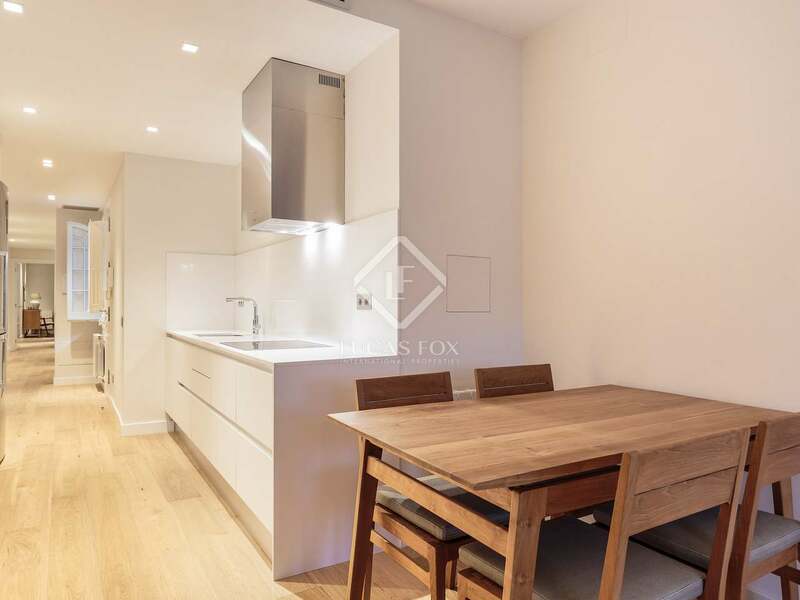 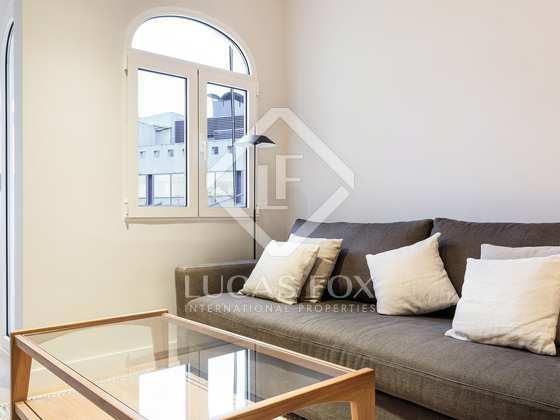 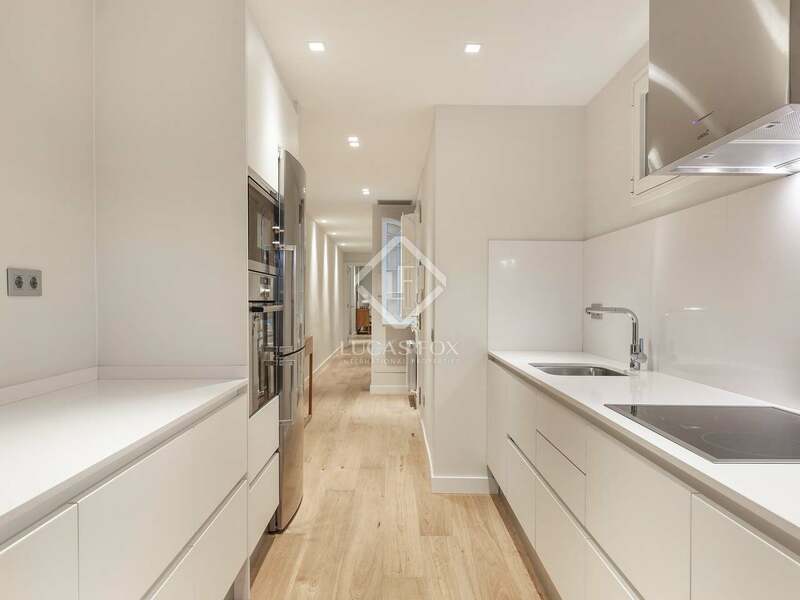 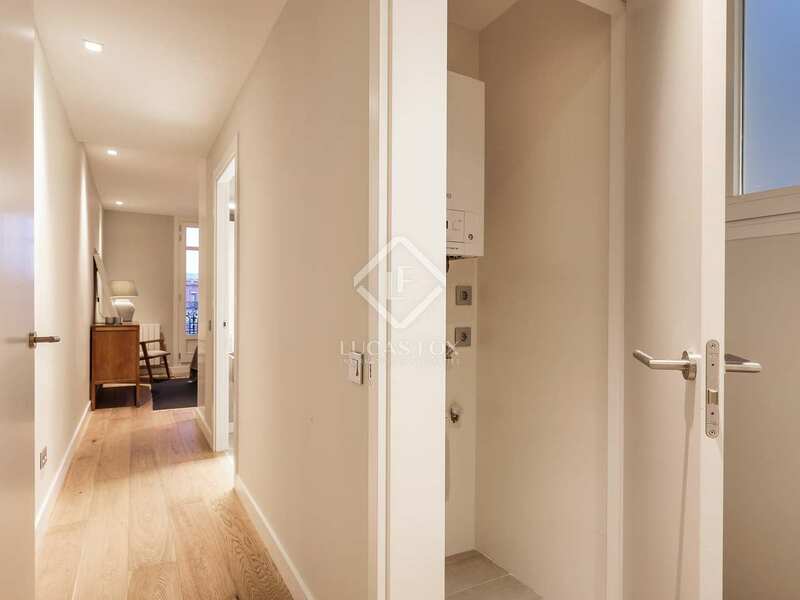 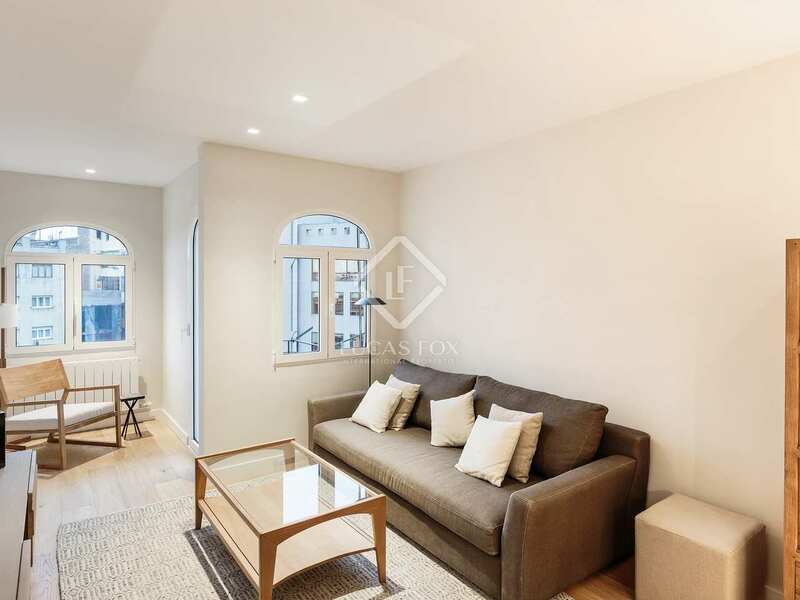 Renovated 2-bedroom apartment with high quality finishes for sale in Eixample Right. 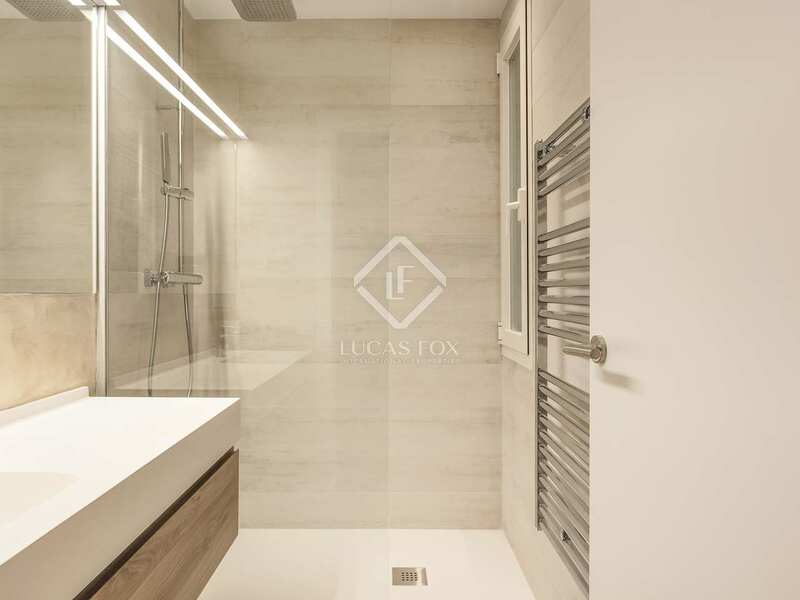 Fourth floor apartment on Avinguda Diagonal that is currently undergoing complete renovation to offer contemporary interiors with double glazed windows with aluminium joinery, heating, air conditioning, high-end kitchen appliances, oak wooden floorboards and all new electrical and plumbing installations, as well as tasteful, modern decor. 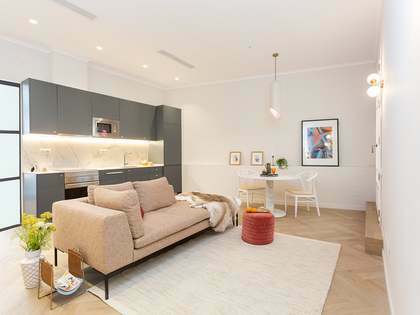 The apartment has a built size of 87 m² as well as a balcony and a functional layout offersing a living room – dining room and with a little study area at one end and a semi-open kitchen at the other. 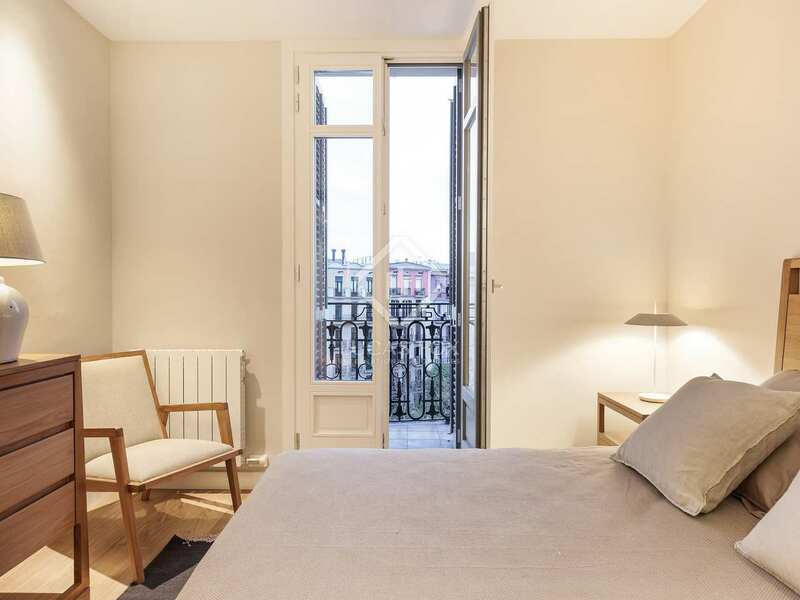 There are 2 bedrooms, one of which is en-suite and has a balcony over Avinguda Diagonal and there is a separate second bathroom. 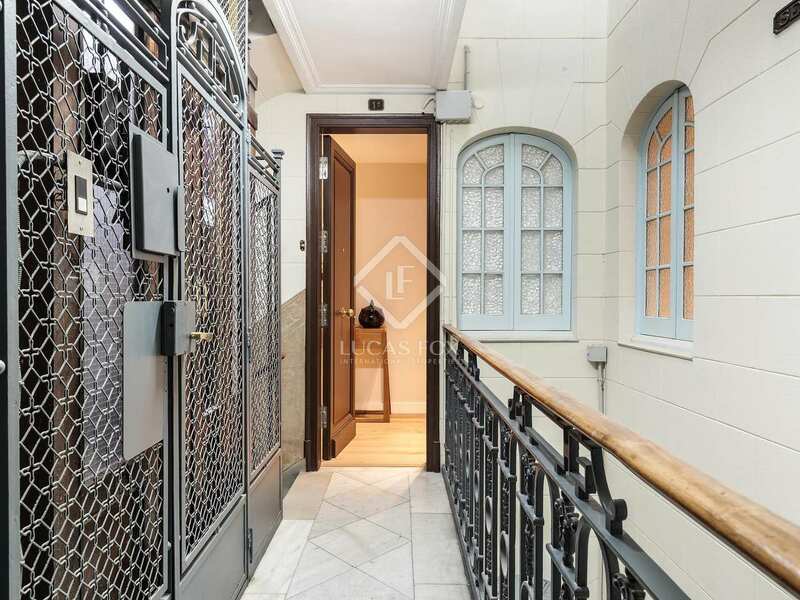 This is an excellent home in the city or rental investment property. 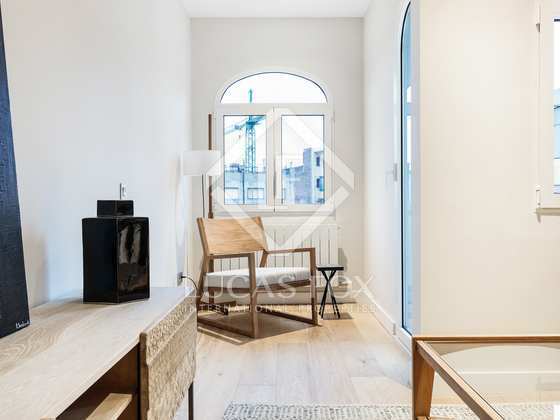 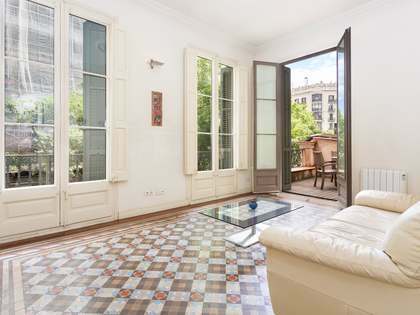 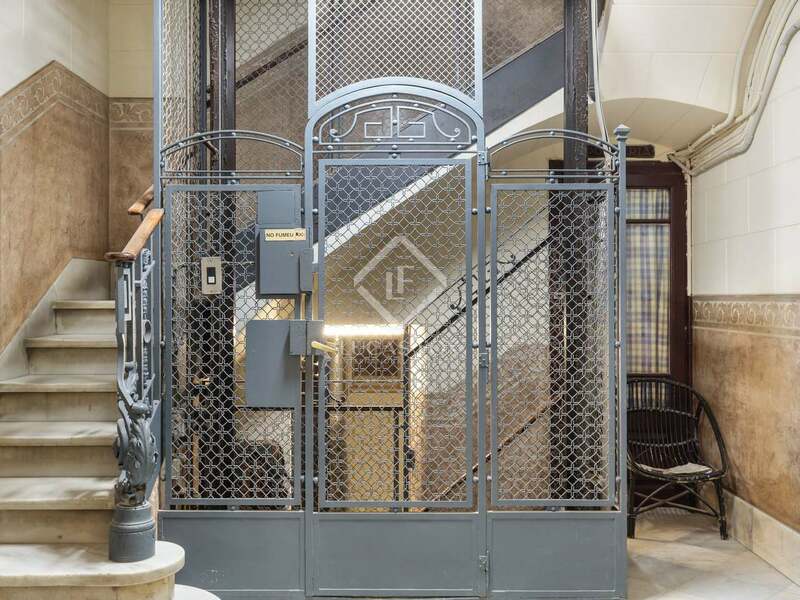 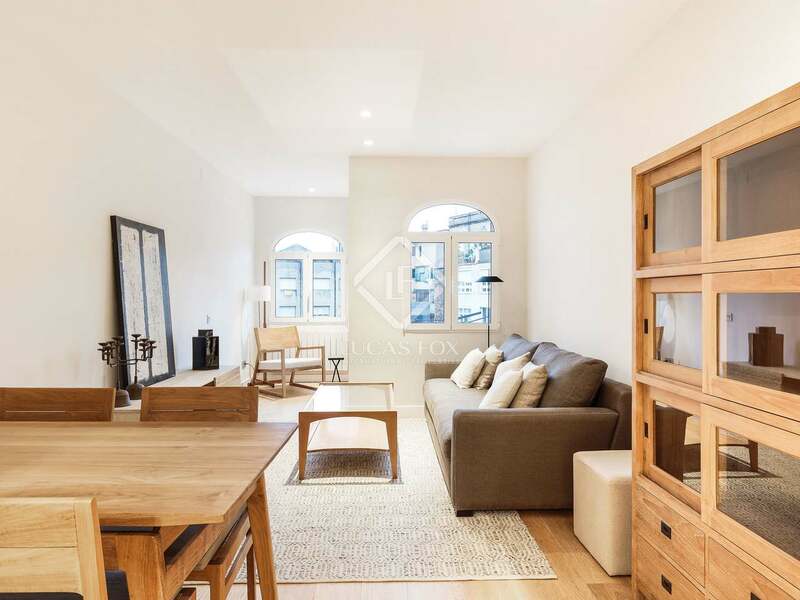 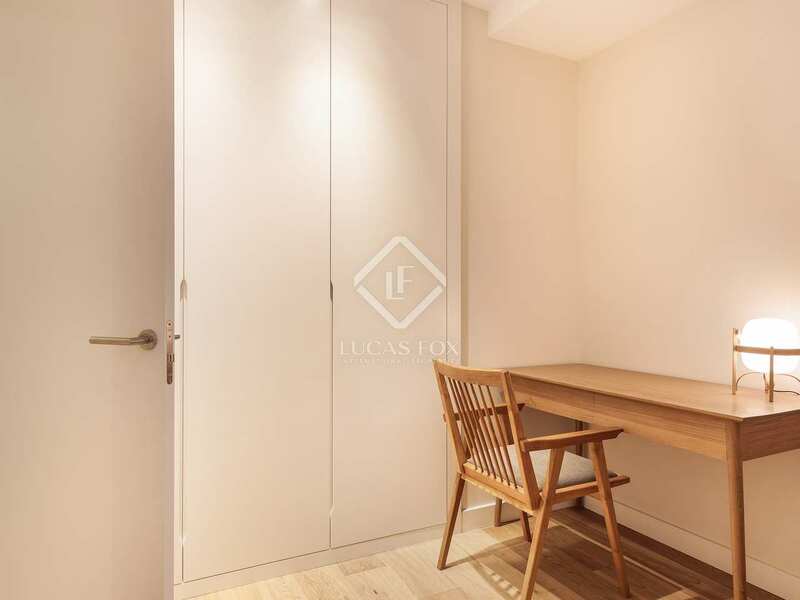 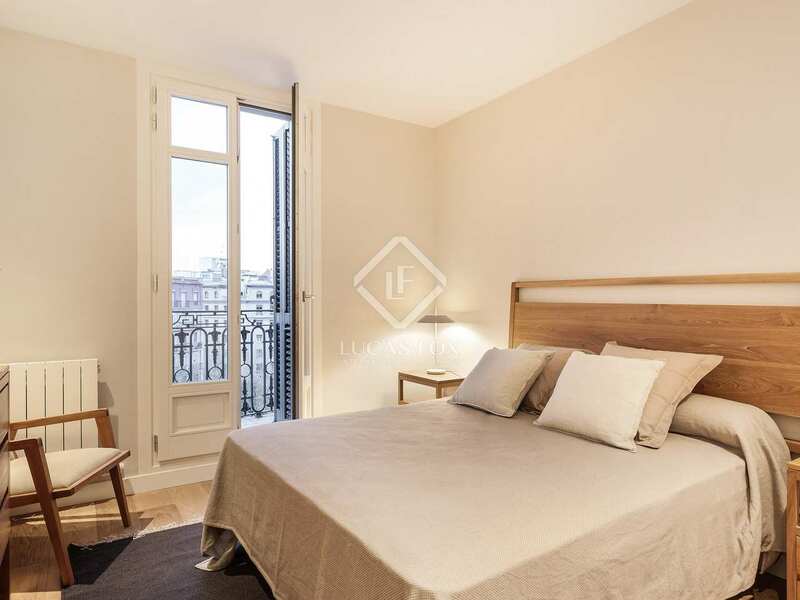 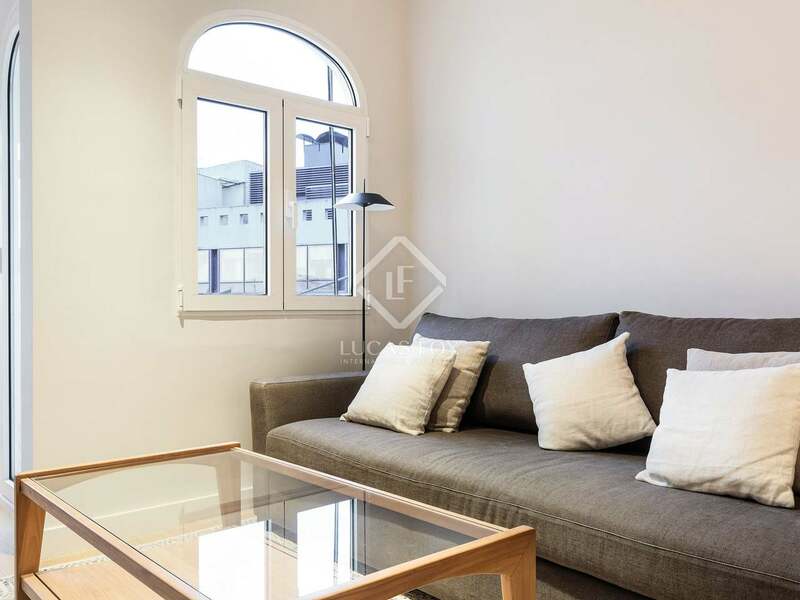 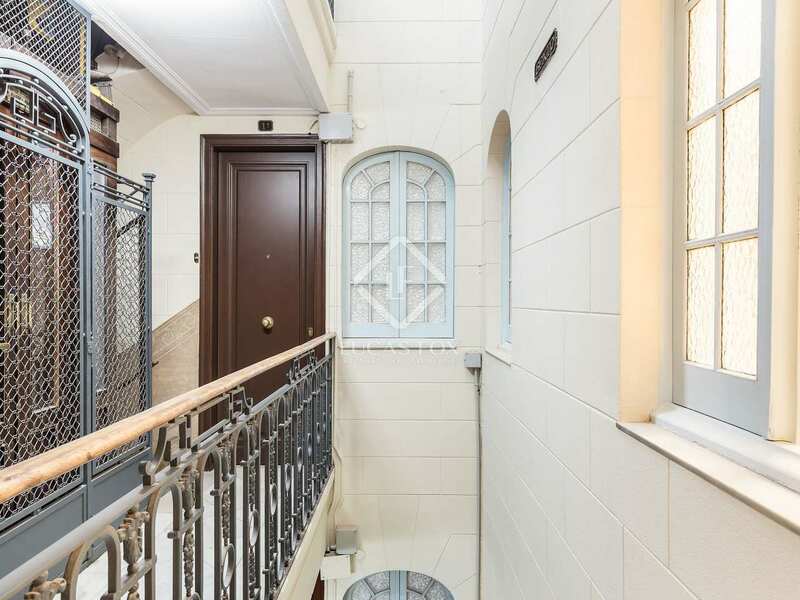 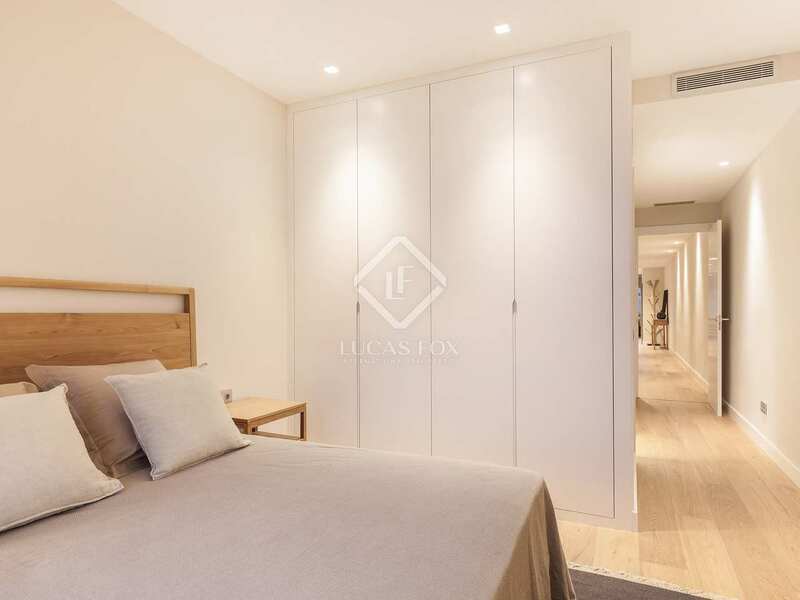 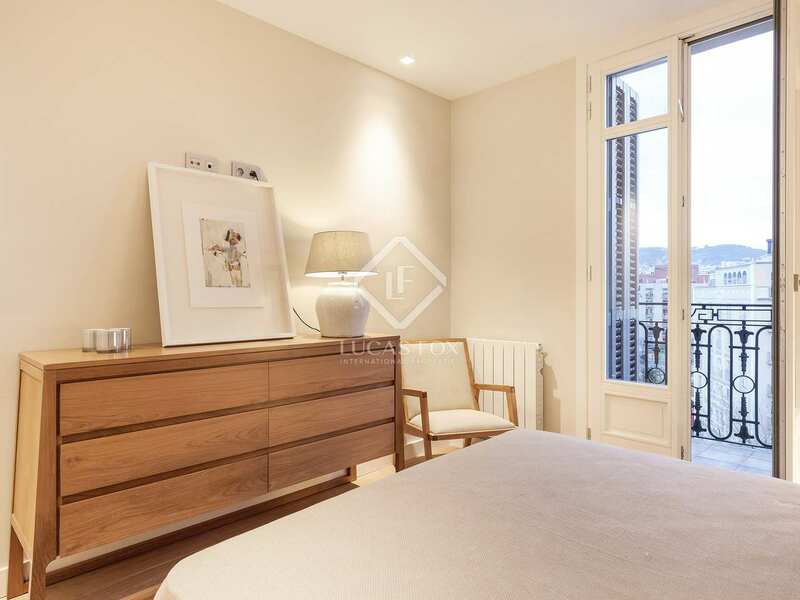 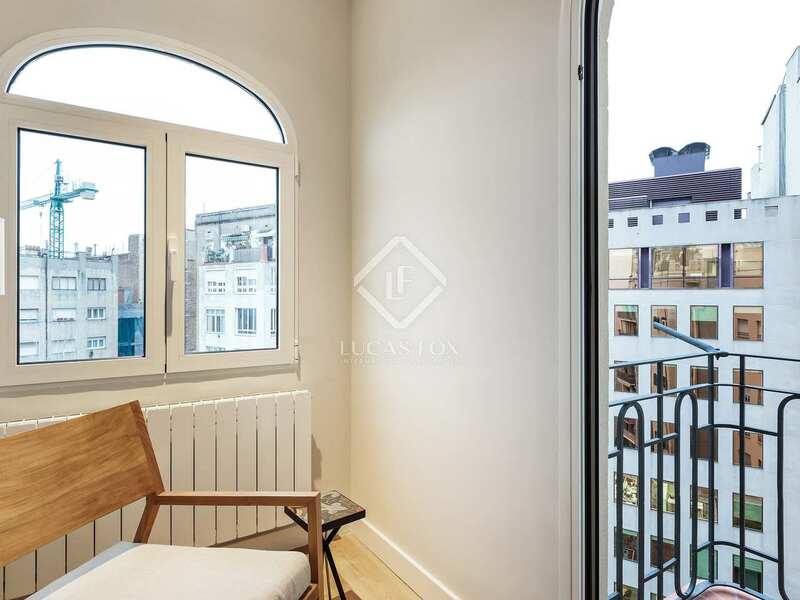 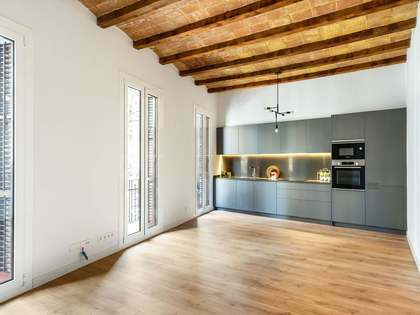 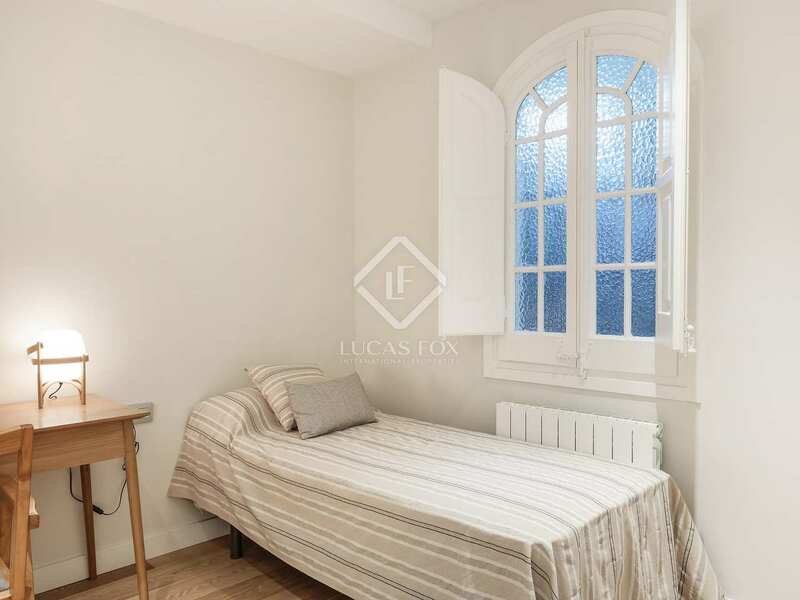 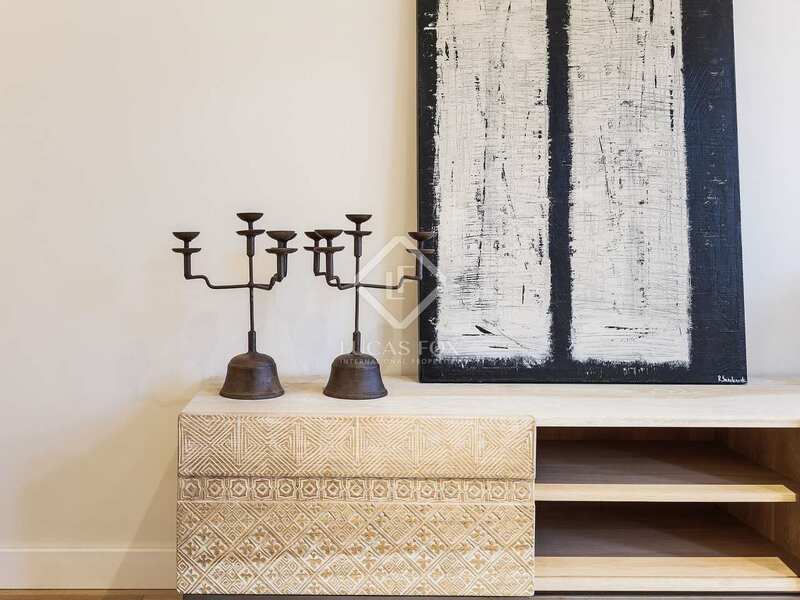 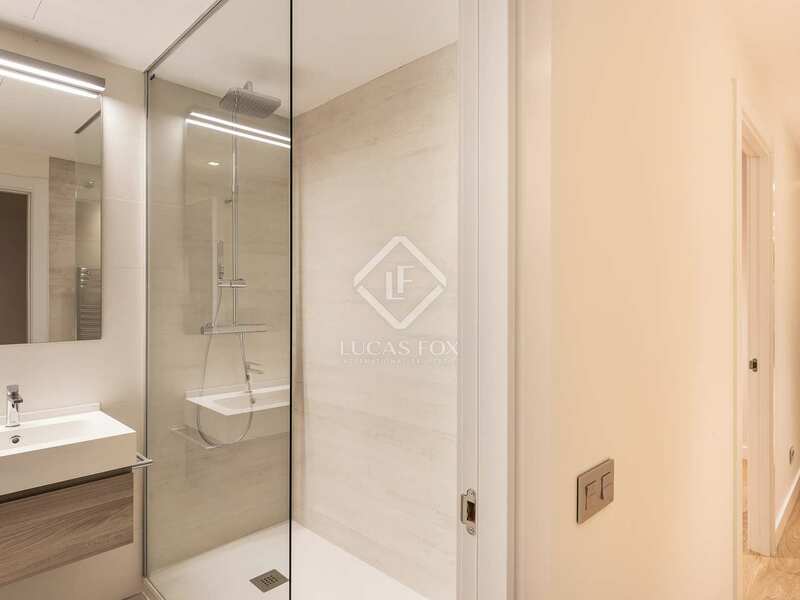 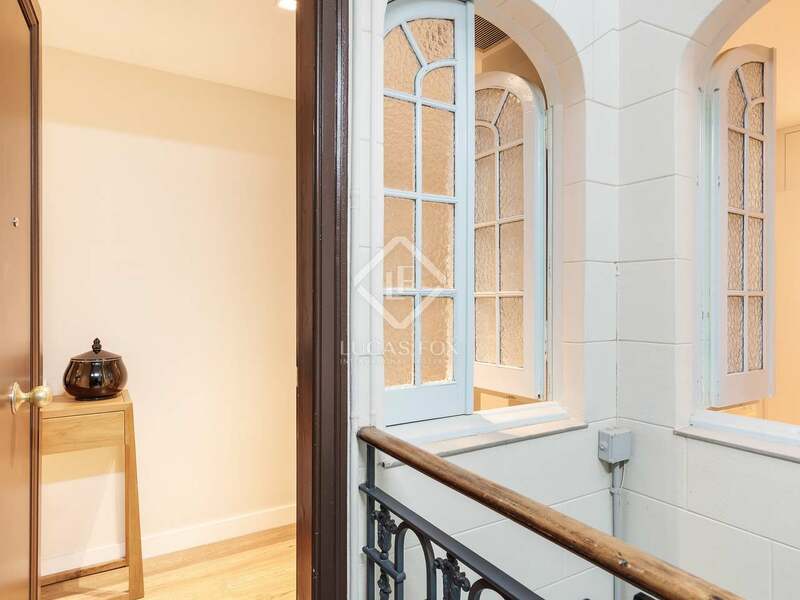 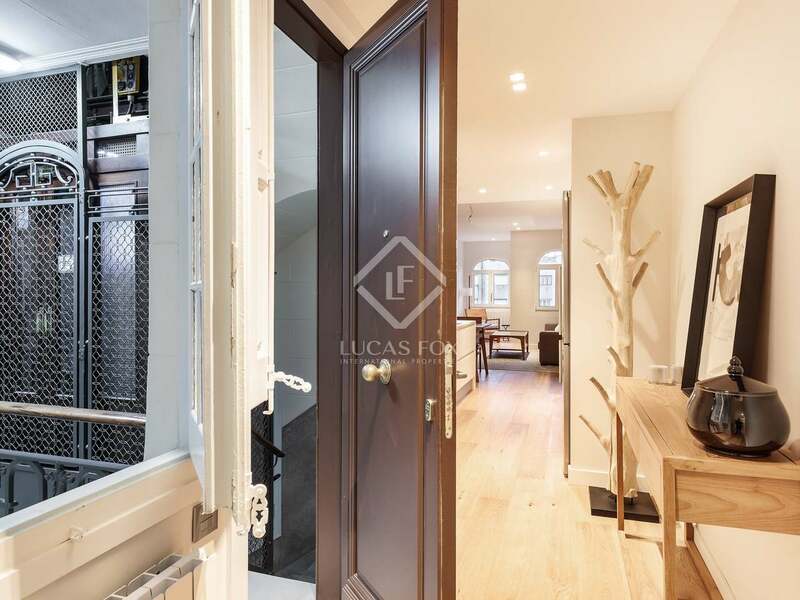 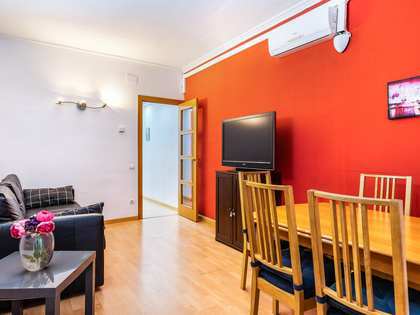 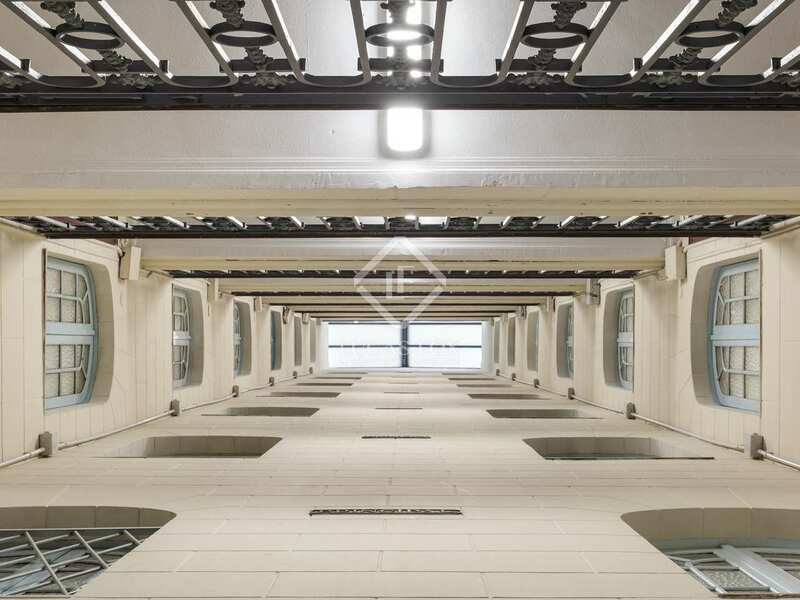 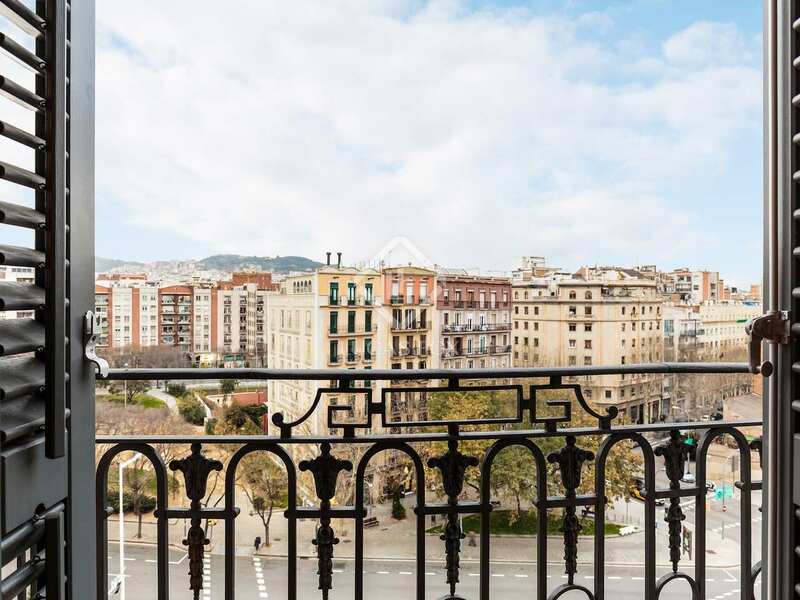 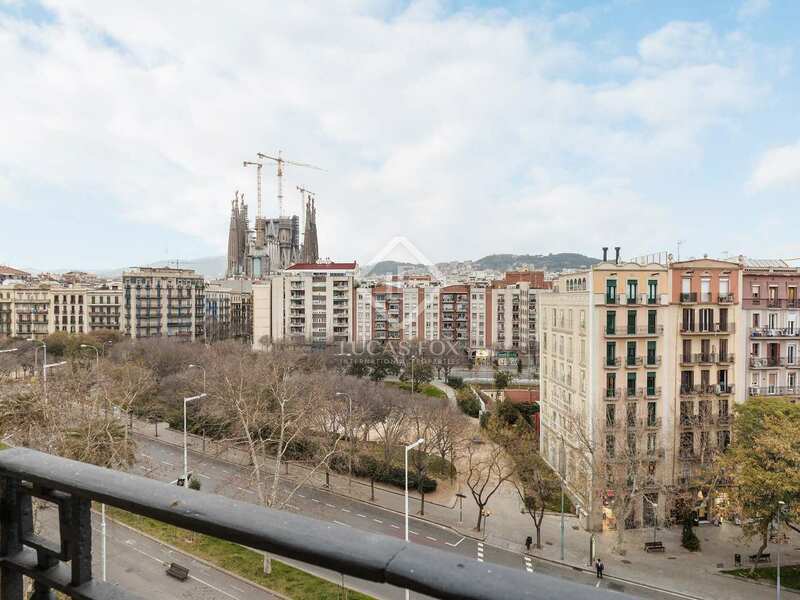 This apartment is in the Eixample area of Barcelona, on Avinguda Diagonal, parallel to Consell de Cent and very close to the Monumental metro station, the Sagrada Familia and the Agbar Tower as well as Lepanto and district 22@. 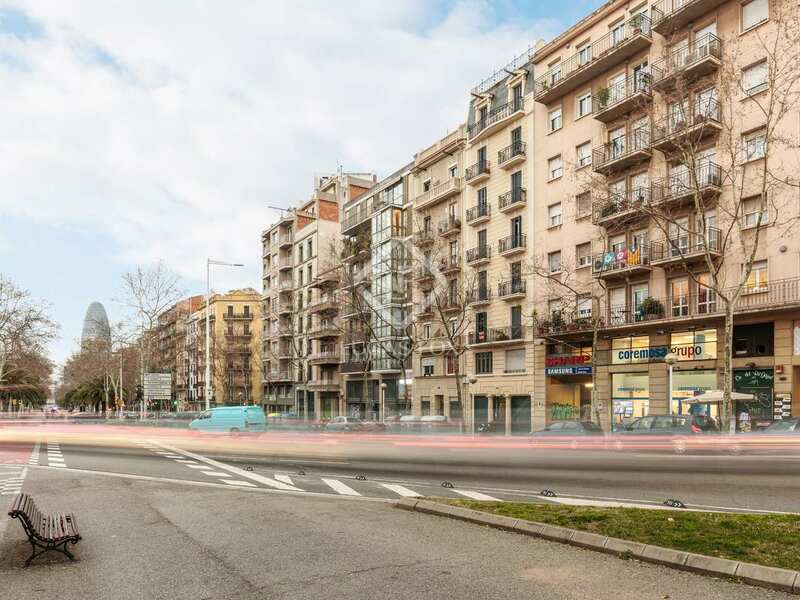 The Glorias shopping centre and the National Theatre of Catalonia are also closeby.